True story: I used to watch rollercoaster music videos and play Rollercoaster Tycoon. I remember the first time riding a coaster, the now closed Déjà Vu, at Six Flags over Georgia. I was terrified. Then, I was hooked; getting season passes to multiple amusement parks, spending Spring Break inside Universal Orlando Resorts, a dream come true. The arcades, the thirst-quenching sodas, the silly mascots, the enthusiastic atmosphere; I loved it all. Operating since 1870, this is a true rollercoaster dynasty. With a bold slogan such as “Roller Coaster Capital of the World,” it better be. It tops lists for best theme parks year after year, with Amusement Today’s polls ranking it number one for the 15th year in a row. Highest, tallest, fastest, and longest are some adjectives have been used to describe the beauties here. The top ride is Top Thrill Dragster, the first strata coaster in the world (and there’s only two in existence). It takes you from 0-120 mph in 4 seconds and has a 90° drop from 420 feet. Serious business right there. And the park has a marina where you can get off your boat and enter the park. That’s pretty rad. Magic Mountain reigns supreme out of all the Six Flags parks. With 18 coasters and over 100 rides, you can be entertained for days—guess it’s good that the park is open year round. It features thrill machines such as X2, the first 4th-Dimension coaster in the world (where the seats move independently). 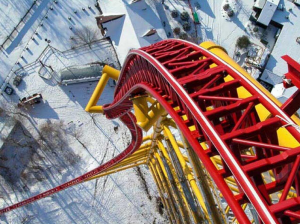 Not to mention Goliath, which will leave you breathless with a G-Force rating of 4.5. In 2013, Full Throttle will make its entrance in the park and into the record books by being the tallest and fastest looping coaster. While firmly holding onto the record of “Most Coasters in one Theme Park on the Planet,” the battle between this park and Cedar Point rages on. As the world’s most-visited entertainment resort with 17.1 million attendees, it could be considered the king of amusement parks. Purchase your Disney tickets in advance as the ticket lines get long. There are four theme parks (and two water parks): Magic Kingdom, Epcot, Disney’s Hollywood Studios, and Disney’s Animal Kingdom. 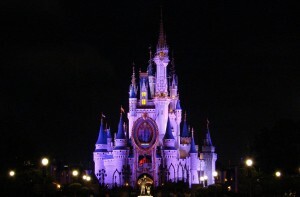 Magic Kingdom, the first built, is still the most popular. The hub of Magic Kingdom is Cinderella’s castle, with pathways from it leading to the six themed “lands.” The park has classic family-friendly attractions and live shows. I’d recommend Spectromagic, the dazzling parade lighting up the night with half a million lights and the beloved Disney characters riding on elaborate floats. 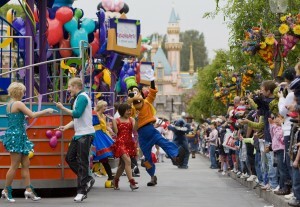 Disneyland is a precursor to Disney World and the only park with the direct touch of Walt Disney. As the plaque at the entrance suggests, Disneyland is where one “leave(s) today and enter(s) the world of yesterday, tomorrow, and fantasy.” Instead of Cinderella’s castle there is Sleeping Beauty’s and there are two more “lands,” making the total eight. There is so much to do. Hop in your doom buggy for an eerie ride through the Haunted Mansion, filled with 999 ghosts. Or dodge all sorts of calamities while journeying through the Temple of the Forbidden Eye in the Indiana Jones Adventure ride. Universal Orlando Resort comprises of three theme parks, as well as an entertainment district and several hotels. Since I stayed at a hotel in the resort, the 3-Park Universal tickets and VIP pass was included, which brought my experience to boss status. Universal Studios has a focus on movies and television shows. In the cluster of soundstages in the park, some are used as actual film and television studios. Islands of Adventure is about exploring the seven, distinctly themed “islands” in the park. 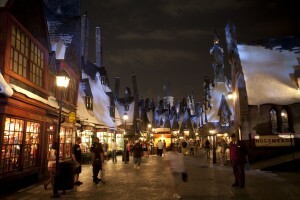 The newest section, The Wizarding World of Harry Potter, is easily the most popular. One can sip a refreshing Butterbeer in Hogsmeade Village or delve into the immersive and innovative signature attraction, Harry Potter and the Forbidden Journey. The third park, Wet ‘n Wild, is often listed as one of the top water parks in America.